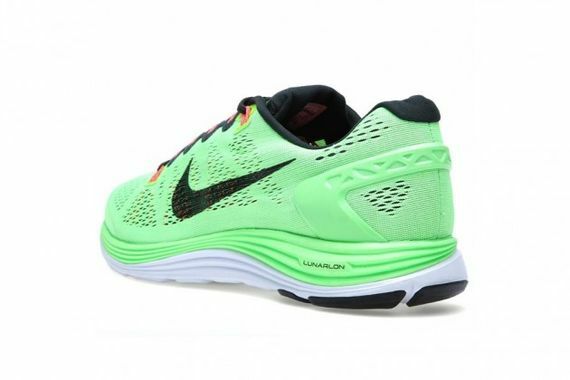 The Lunarglide +5 from Nike has been receiving healthy doses of colorway love as of late, but this latest Flash Lime look truly does this silhouette justice. 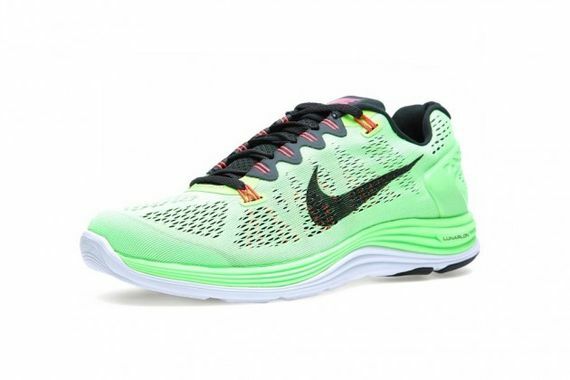 Highlighting the impressive technologically advanced features-such as the heel support, breathable upper and dynamic flywire for good measure-this Flash Lime beauty skillfully talks the talk and walks the walk. 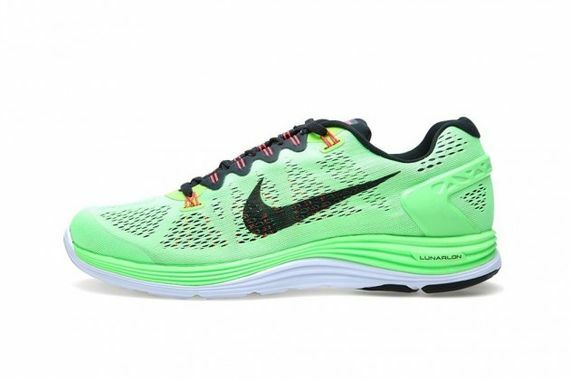 With a two-toned Lunarlon sole gracing the bottom of this silhouette, Nike included everything but the kitchen sink (we expect to see that included in the Lunarglide +6). Fear not, these bold beauties are available now for pre-order via our friends at End Clothing. More photos after the jump.